Akkineni FAAS 2017 Cine Awards winners have been announced by K Dharma Rao, Chairman of the Akkineni FASS association. 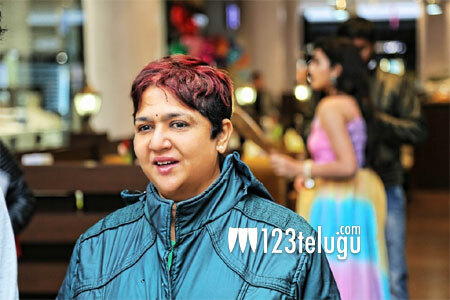 Prominent Director Jaya B has been conferred with Silver Crown Award, for her contribution to Telugu cinema highlighting Telugu values and traditions in movies. A awards function will happen on the night of November 23rd at Sri Tyagarayasabha in Hyderabad. The Award winners are taken from the period of September 2016 to September 2017. Other winners include five best films in release order, Premam, Shatamanam Bhavati, Ninnu Kori, Fidaa, Vaisakham. Etv, Gemini TV, and TV9 are Best Channels, special Mention to channel V6. Prominent actor from four decades, Saikumar will be honored at the function. Actor Prudhvi, Pragati, Senior Journalist Dr. Rentala Jayadev, Vamshi Ramarajulu are among the other winners. Justice L Narasimha Reddy, retired Chief Justice Patna High Court, will be the Chief Guest of the event. Padmabhusan winner Dr. Yarlagadda Lakshi Prasad will open the function. 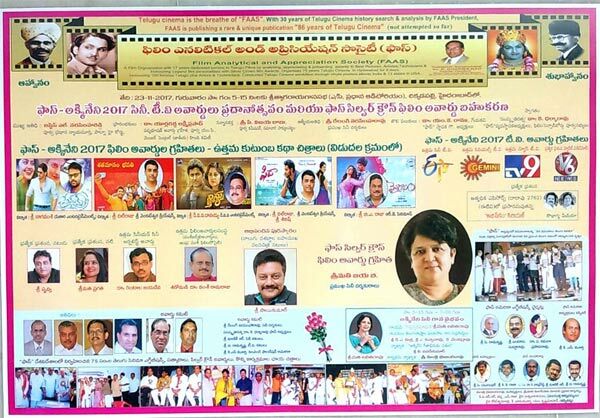 Prominent singer T Lalita Rao will enthrall with “Akkineni Cine Gaana Vaibhavam” at function notified FAAS Chairman Sri. K Dharma Rao.